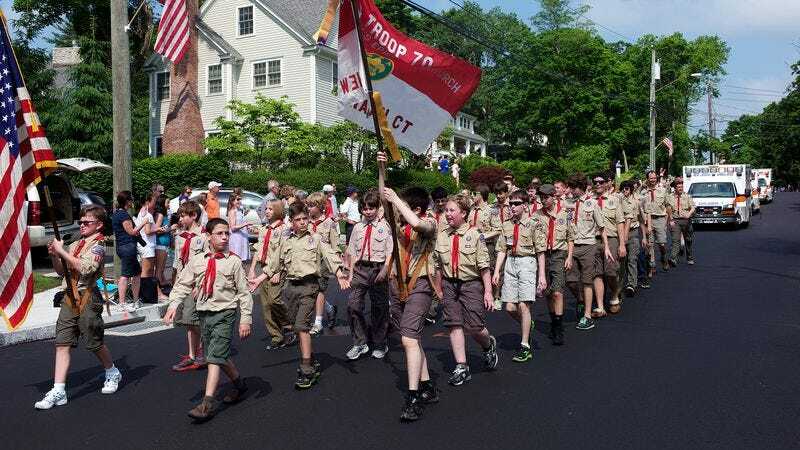 The new policy, which goes into effect immediately, is a significant move for the Boy Scouts, an institution that’s been associated with a sort of rigorous, old-fashioned traditionalism for its 100-plus years of existence, but has in recent years begun making slow progress. In 2013, the Boy Scouts ended its longstanding ban on gay scouts, followed two years later by the decision to allow gay scout leaders. As with those previous decisions, welcoming transgender scouts was preceded by controversy, stemming from an 8-year-old Scout in New Jersey who was kicked out of his troop after parents learned he was transgender. That boy has now been personally invited to re-enroll, according to his mother, though she says she’ll only do so if the troop leader who asked him to leave resigns. Beyond just the Boy Scouts accepting that anyone, regardless of gender identity, can learn to tie knots, identify birds, and pass off their dads’ work as their own in the Pinewood Derby, the announcement reflects a broader cultural shift toward acceptance, offering a reminder that—no matter how much it seems at times that progressivism is under threat of being systematically dismantled—even the clean, reverent, and thrifty Boy Scouts recognize that it’s not the 1950s anymore. Naturally, Fox News-fed forces are already calling for churches to withdraw support and conservative parents to pull their children out, all of which should make the Boy Scouts even more fun. So join up, kids! You can make friends unhampered by outdated dogma, and you’ll get to play with knives.